France 1968 | What's Left? This phrase, popular in the 1970s and ‘80s, was a bit of a misnomer. It was employed primarily by Marxist-Leninists and their fellow travelers to refer to those regimes that called themselves “people’s republics” or “people’s democracies,” two more horrible misnomers. For these true believers in, sycophants of, and apologists for what was once called the Communist Bloc, the term “real existing socialism” was a sly, propagandistic way of simultaneously asserting that this collection of totalitarian, state socialist countries was truly socialist while defending them from the often scathing criticisms of traditional socialists, ultraleftists and idealistic progressives. The patent absurdity of this argument was illustrated well by the many conflicts within “real existing socialism” as to who was really, truly socialist—ranging from Yugoslavian Titoism versus Soviet-style socialism to Soviet revision opposing Chinese radicalism. 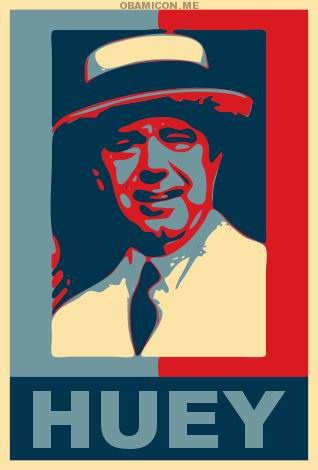 This game of more-socialist-than-thou peaked when Enver Hoxha denounced the rest of the Communist world as revisionist and declared Albania’s Marxism-Leninism-Hoxhaism to be the only true, authentic form of socialism. A long list of incidents in which one type of socialism militarily suppressed another type of socialism in the name of “true socialism” also comes to mind. It begins with Lenin and Trotsky crushing Ukrainian anarchism and the Kronstadt sailors, and culminates with Soviet tanks smashing Hungarian workers councils and Czechoslovakia’s “socialism with a human face.” The Chinese PLA’s demolition of the Shanghai Commune is the bloody postscript. And need I point out that the number of real existing socialist regimes of this type has drastically declined since 1989? Instead of arguing that Marxist-Leninist systems aren’t really, truly socialist however, let’s see what happens when we try to be more inclusive. What happens when we consider staunch social democratic countries like Sweden to be authentically socialist? What happens when even the sometimes extensive networks of producer and service collectives and cooperatives within capitalist societies are classified as valid forms of real existing socialism (from here on out referred to as RES)? This expanded definition of RES does not cover all forms of socialist organization, and leaves out most political groups and parties, social/cultural associations, and militant unions. The somewhat fuzzy boundary crops up where union workers actually run their enterprises, political organizations provide services such as workers schools, and social/cultural groups delve into things like mutual aid societies. Still, this more inclusive notion of RES does have one particularly important ramification. Marxism-Leninism, social democracy, and utopian socialism are all well represented in this larger RES. The representation of anarchism and left communism is practically nil. Of course, there is the occasional workers cooperative, collective or commune based explicitly on anti-state, anti-capitalist and anti-authoritarian politics, but as viable movements and social orders, anarchism and left communism are non-existent within RES. As a former anarchist who retains some identification with left communism, I wish this weren’t so. But it is. 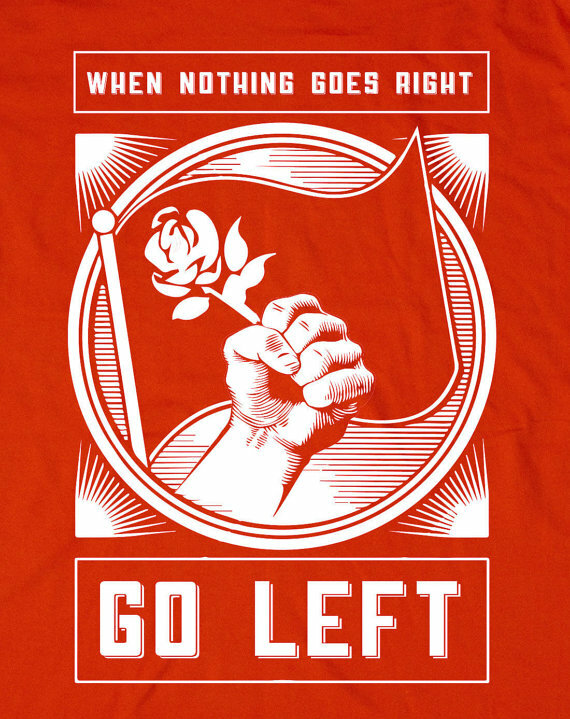 Anarchism and left communism both champion a number of historically brief revolutionary moments (Russia 1905 & 1917, Germany 1918-21, Spain 1936-39, Hungary 1956, France 1968, etc.) that, while exemplary, were fleeting, and failed to produce lasting, libertarian socialist societies. For anarchists and left communists, RES is not true socialism when compared to these ephemeral revolutionary examples. Yet no anti-state, anti-capitalist, anti-authoritarian RES exists as an alternative. 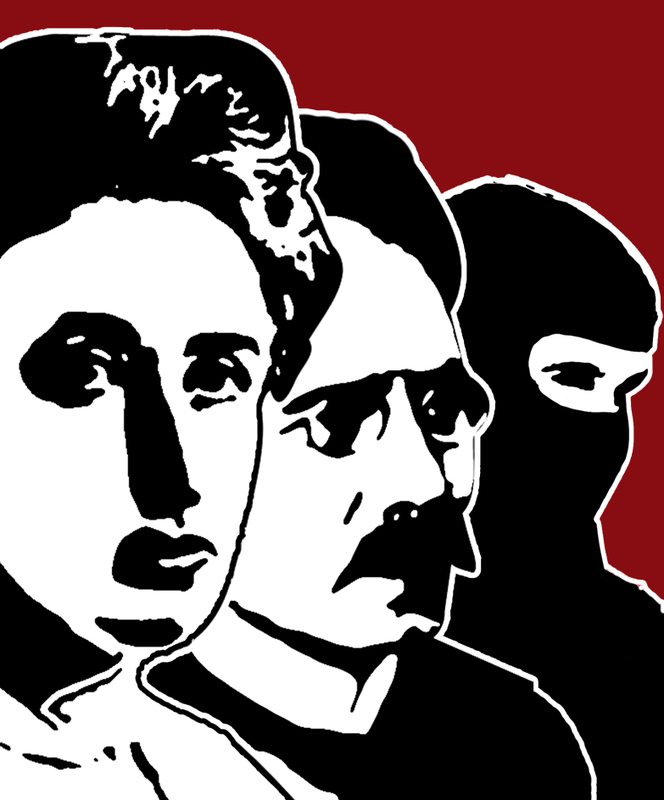 The reasons why anarchism and left communism have failed to produce lasting revolutionary options are myriad, and vary from the historically specific to rather universal problems. The important fact here is that, without exception, they have failed. At this point, we have three choices available to deal with this fact. We can go along with a seemingly eternal anti-authoritarian optimism to proclaim that, despite this dismal record, the next revolutionary uprising will somehow overcome all odds and be victorious. Second, we can argue that, with a little tinkering and some key changes, we can increase anarchism and left communism’s probabilities for future success. Or finally, we can declare anarchists and left communists perennial “beautiful losers” and pronounce their politics bankrupt. The first is not so much an option as it is a description of insanity, of doing the same damned thing over and over while expecting radically different results. The second choice appears to be more tempered and realistic. Yet it is largely ineffectual due to what I call the Baskin-Robbins syndrome. Hang on, this is going to require an extended frozen desserts metaphor. 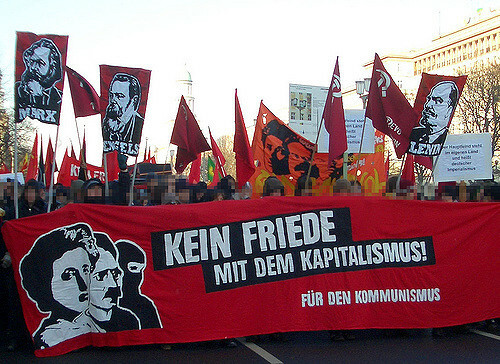 After the second World War, when geopolitics polarized between East and West, between the Communist Bloc and the Free World, there were several attempts to create a neo-anarchist/left communist politics that could function as a tertium quid. Paris in the 1960s produced a French ice cream called Situationism that became all the rage for decades to come. With its mixture of left Marxist analysis and anarchist spirit, along with a heavy dollop of subjectivism, Situationism was more than just one of thirty-one flavors, more like a basic, ubiquitous vanilla. To boldly mix my metaphors, a friend once described the Situationists as a motley theatre troupe that managed one mediocre performance in Paris 1968, and hasn’t done much since. They were no Cirque du Soleil, to be sure. Returning to ice cream as politics, tastes changed and by the mid-to-late 1970s, Italian autonomist gelato became popular, followed in the late 1980s/early 1990s by the spumoni of Italian anarchism and “action without mediation.” Various flavors of anti-globalization dominated the late 1990s/early 2000s, and most recently we’ve seen a revival of French crème glacée. The Invisible Committee’s blend of insurrectionary anarchism and anti-state communism in “The Call” and “The Coming Insurrection” is covered with nihilist hot fudge, and topped with Theorie Communiste sprinkles, Michel Foucault jimmies and Giorgio Agamben crumbles. Study groups of youthful radicals can’t seem to get enough of this riotous confection. 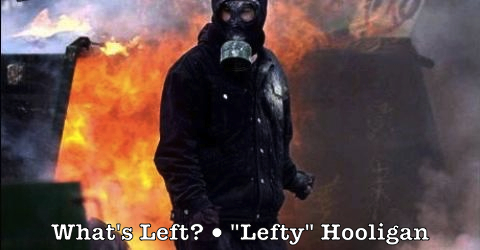 Invariably, these neo-anarchist/left communist concoctions are tried and found wanting. But that’s not why I predict that the current French mélange will soon fall out of favor. There’s a fickle Baskin-Robbins “flavor of the month” attitude to all of this that belies serious politics. Young revolutionaries flit from one faddish political fashion to another as they might flick between MP3s on their iPods. Needless to say, this is no way to make revolution. Further, it’s a guarantee that anarchism and left communism will find no place in RES. At the risk of coming off as a naïve American pragmatist, I insist that a central criterion of any politics must be that they work. It does little good that insurrectionary anarchism and anti-state communism are now trendy, if they do nothing to advance successful revolution. It means even less if those who advocate such politics are willing to change them at the drop of a hat, just to be au courant, whether or not those politics can overthrow state and capital, let alone create and sustain a socialist society. Which leaves us with our third choice, the bankruptcy of anti-authoritarian politics. I’m loath to consider this option, even as reality backs me into this corner. Maurice Merleau-Ponty contended, in Humanism and Terror, that all of Stalin’s crimes—his terror and purges, his forced collectivization and calculated famines, his show trials and gulags—could be forgiven if only the Soviet Union had achieved a truly liberated, humanistic socialism. Flipping this, can the emancipatory ideas of anarchism and left communism be countenanced in light of their shoddy, lackluster performance in the real world? I doubt it, given the paucity of a real existing anti-authoritarian socialism. What we are left with are beautiful dreams that fail to become anything more than reverie, and dreamers who continually romanticize their own failures. That’s not enough.